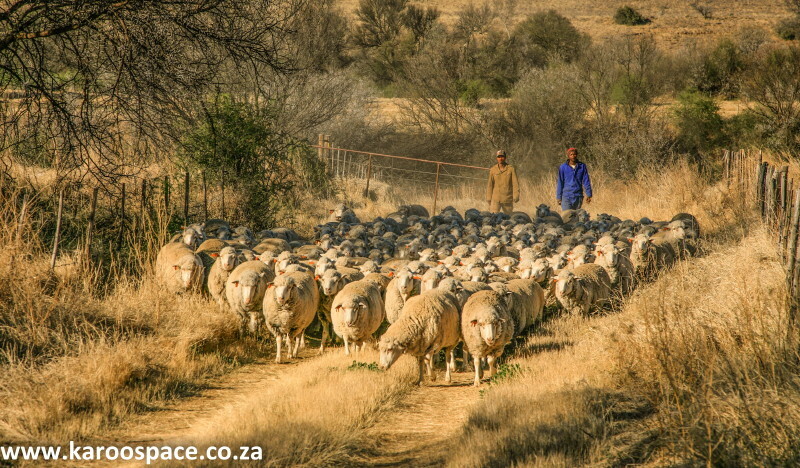 Shepherds working their flock in the Fish River area of the Karoo Heartland. 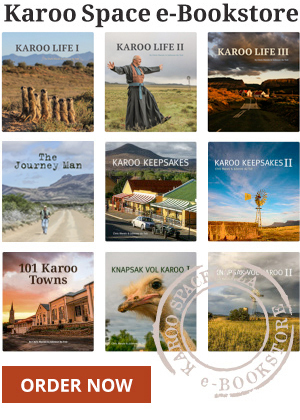 So here’s the journey I’ve been dying to take you on – a really great South African road trip through the Karoo Heartland. Along the way, I’m going to show you stuff that will amaze and delight you and your family. Make you laugh, maybe. But first, we need to do a bit of prepping. This involves carving out 10 special days of our lives and making sure the household beasts are taken care of. Normally I’d say bring the animals along (being the proud owner of a long-haired German Shepherd myself) but we’re going to be visiting some national parks on this tour and pets would be a problem. I’ve planned a detailed 10-day itinerary for us. At the end of this trip, I’m hoping you’ll agree: there is very little to beat the Eastern Cape Karoo. 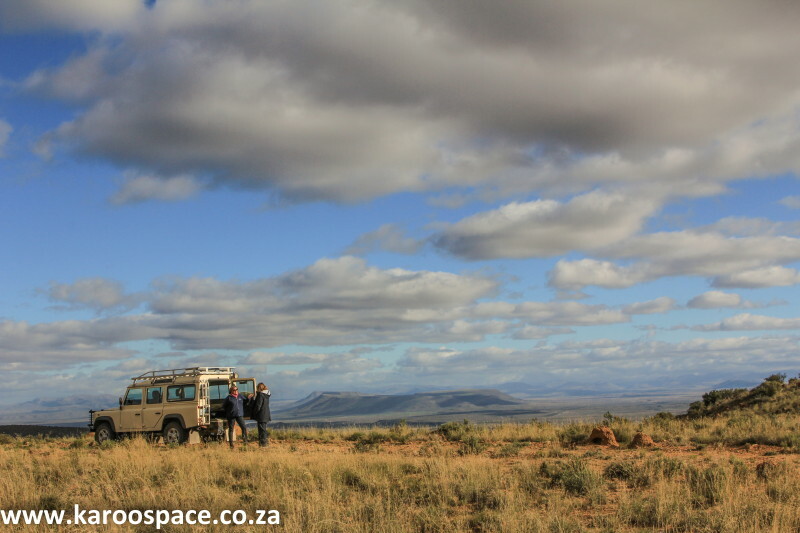 The Karoo Heartland is rugged outdoors country. Marketed as the Karoo Heartland, it embraces a dozen towns and villages and offers up what I believe to be one of the finest, most diverse, road trip routes in the country. I’m not famous for having a long attention span. So if you’re even just a little like me, you’ll want your travel spiced up with epic but bite-sized road trips, a beer stop here and there, a bit of shopping for weird stuff, some crazy architecture to gawk at, friendly faces along the way, a drop of heritage, a smattering of history and a whole bunch of roadside eccentricities. And if we go, say, in December, we will be swimming against the stream of South African holiday makers heading for the coast. We will be going where it’s quiet, where there’s space to breathe and there are no queues. Best of all, your credit card will not take much of a pounding – as it normally does down by the seaside. And before you listen to the groaning of the kids, I’m going to tell you something for nothing: your little ones are going to love it! So just to jump-start this journey, we’re going to meet some wild cats on a farm near Cradock. 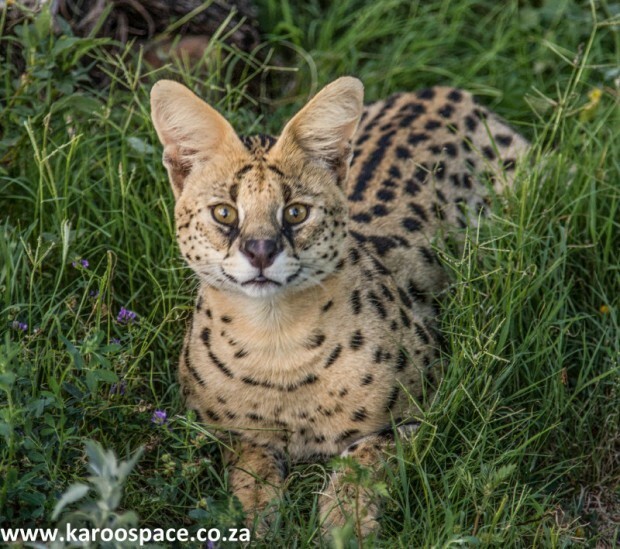 A serval cat, one of the residents at Pred-A-Tours, Clifton Farm. It’s OK to call Marion Holmes the Cat Lady of the Karoo. Out at Clifton Farm, she looks after a group of indigenous kitties you might never come across in the daytime. We go out in the late afternoon when the light starts to fade and see African wild cats (the ancient grandparents of Bobsy back home) small-spotted cats, servals and caracals. They are here to entertain the cats. There is nothing a cat (of any persuasion) loves more than to lie on a rock watching guinea pigs and poultry rootling around. Kitty TV, so to speak. But hurry now, the Tuishuise team are waiting for us back in Cradock. We drop luggage in our Victorian-era tuishuis cottage on Market Street and slip into the dining room of the nearby Victoria Manor just in time for a quick sherry and the first course. Take your napkin with you to the buffet table, because the plates are always hot. And help yourself to lots of lamb. We’re in the Karoo and remember, Prof Tim Noakes (co-author of the best-selling Real Meal Revolution) says Karoo lamb will set you free. The heroes of the Mountain Zebra National Park outside Cradock. Pack your luggage and set up your camera gear. We’re going to hurtle through breakfast and then head out to the Mountain Zebra National Park for a day of delights. Don’t fret about having forgotten the ultra-long lens. I’m going to show you how lovely a mountain zebra or a black wildebeest looks up here on the Rooiplaat Drive, framed by the Bankberge. Yes, we’re doing landscape photography with animals. 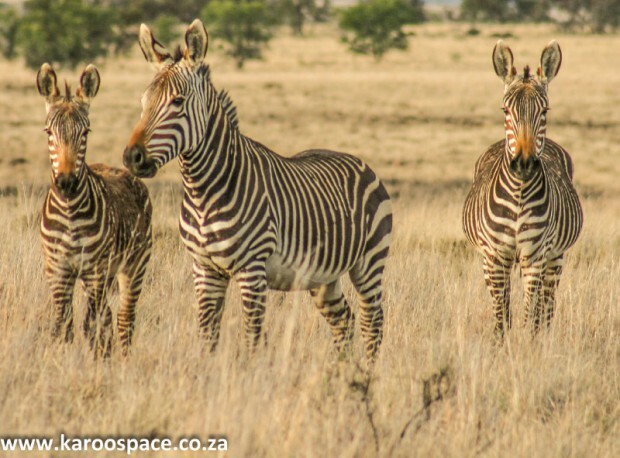 The Mountain Zebra National Park outside Cradock comes as a delightful surprise to most visitors, who normally traipse off to Addo or the Kruger. It’s a well-run True Karoo camp, with lookout points and plateau drives that simply take your breath away. Evening at Lowlands Guest Farm, Fish River. 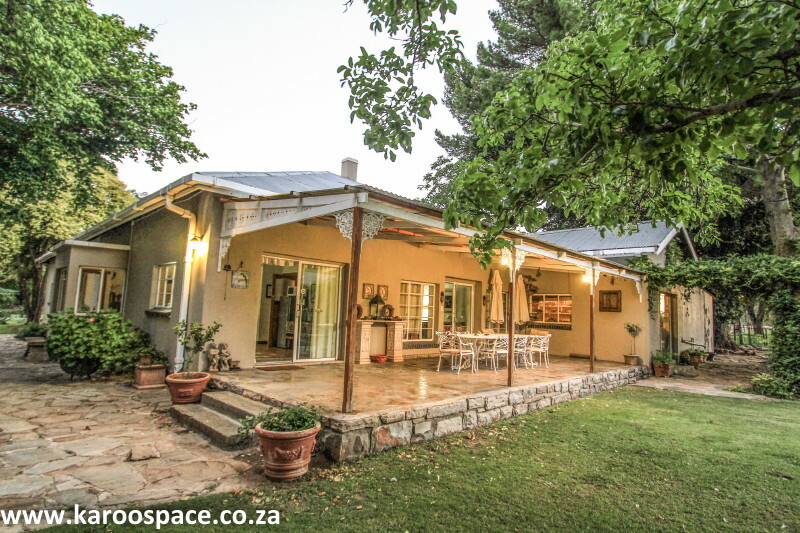 After lunch at the park restaurant, we head out to Lowlands Guest Farm at Fish River Station. Dave and Anne Bowker of Lowlands will fill you in about this legendary Settler outpost, where farmers still gather to play tennis every Saturday – an old Karoo tradition that has fallen away in most other parts. There will be sundowners at the dam and a sunrise walk along shady lanes to look at the sheep and the pecans – but mainly to stretch the legs before we leave. 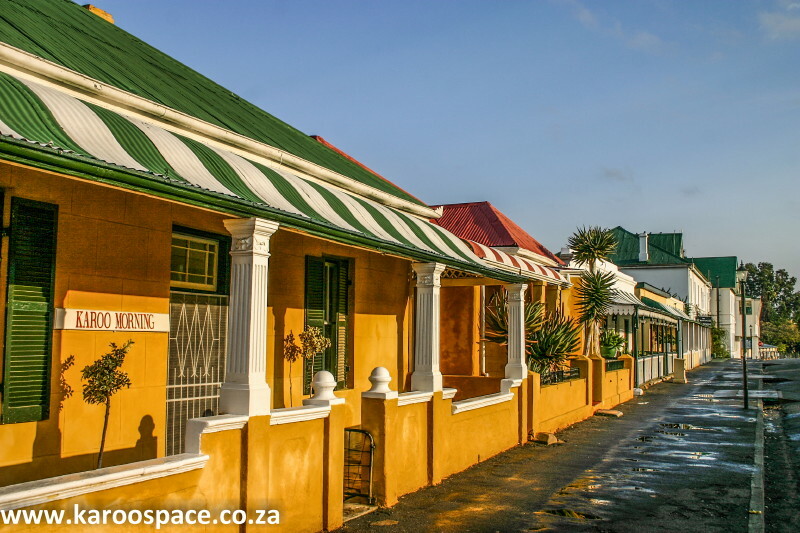 Next: The delights of Middelburg and Nieu-Bethesda.